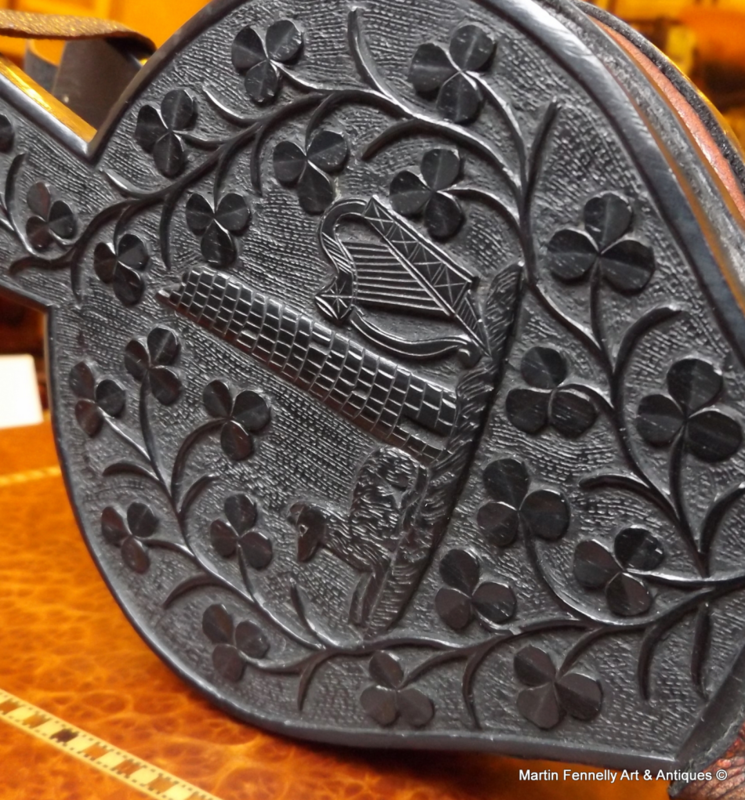 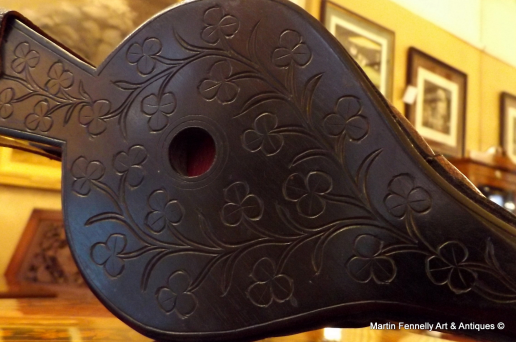 This is a superb quality Irish Hand Carved Bog Oak Bellows dating to Circa 1870 and in Great Condition, decorated to one side with a depictions of The Irish Wolfhound, Round Tower, Harp and Garland of Shamrocks. The Back is detailed with Shamrocks. 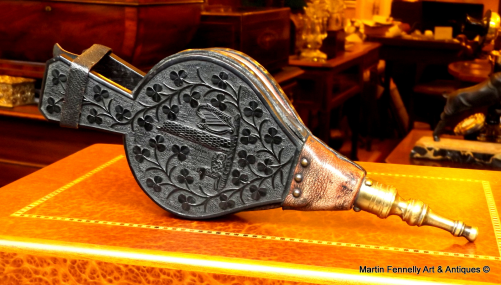 This is a rare item and Bog Oak Bellows are particularly rare.